This is what happens when Final Fantasy character designer and Kingdom Hearts boss Tetsuya Nomura gets his hands on the Caped Crusader. 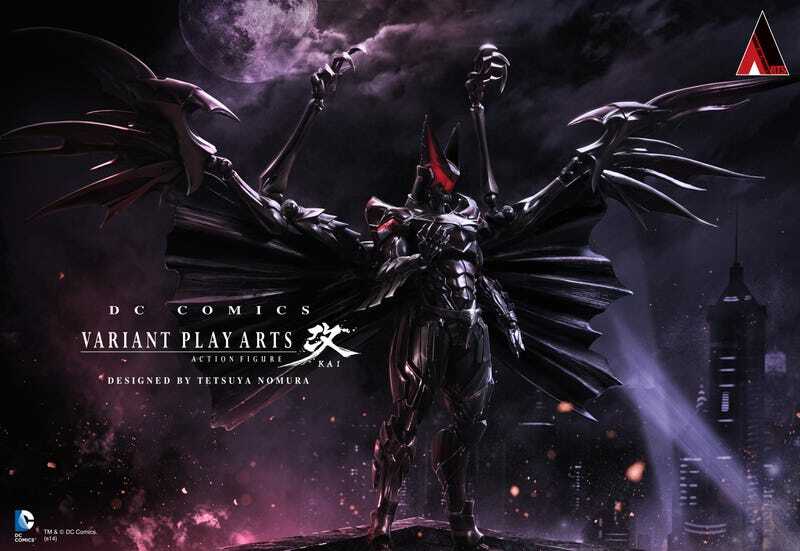 Part of Square Enix's DC Comics Variant Play Arts Kai line of re-imagined figures — the first of a series designed by Nomura — this Batman is almost more of a Bahamutman, all wings and claws and sharp angles. It's certainly above and beyond any Batman I've seen. Nomura's Batman (really needs a proper name) will be on display at the Square Enix booth at San Diego Comic-Con today through Sunday. Eventually they'll sell it.